I was introduced to craft beer for the first time 4 years ago when arriving in the Garden Route. Unknown to me craft brewing wasn’t something quite new but not really a familiarity to a city girl like me. One thing I have learned about leaving the city is that people get creative and they still have time for the good things in life. My first introduction to craft brewing was at a Slow Food convivium luncheon and I was completely captivated by micro brewer Mike. The way he handled the beer, his passion for creating it, the thought that has gone into it and just the whole idea of making something of your own for people to enjoy. I have since watched and learnt with great interest as these golden goblets of pure joy appeared more and more around me. I had to write about beer in the Garden Route and Klein Karoo as it has become part of our culture and I have also discovered that we have the only hops Route in South Africa and the entire hops industry in is situated in the Southern Cape and only a short scenic drive from George. This area, with some of the longest summer days in the country, is the best for growing hops. 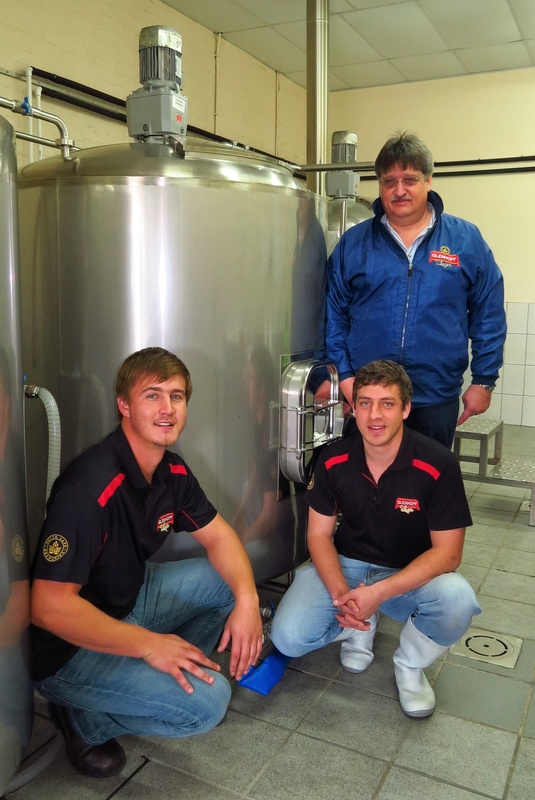 My first trip was to Southern Cape breweries – Glenhoff and is situated in the industrial area of Mosselbay, this innovated little brewery with its highly energetic team create a Glenhoff lager. I got chatting to Jan about the brewery and it’s beginnings and it soon became very clear to me that this is a brewery that means business. 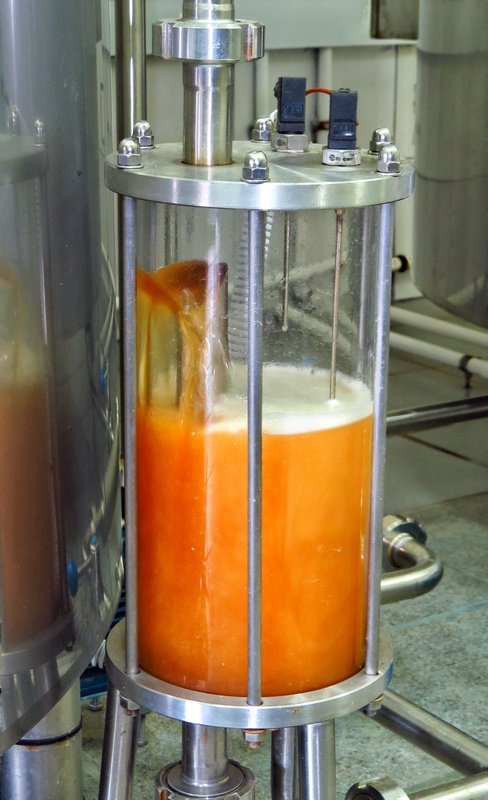 The thought that has gone into creating this beer is phenomenal from the water, to the usage of water the professional set up and extra care about the end results. Believe me it is not a huge operation but a dynamic one. Listening with great interst as the young brewer Marius explains the process to me and their very natural approach to brewing beer. The feeling I get after my visit is that there is a purity in what they do, they want the best and to be the best. 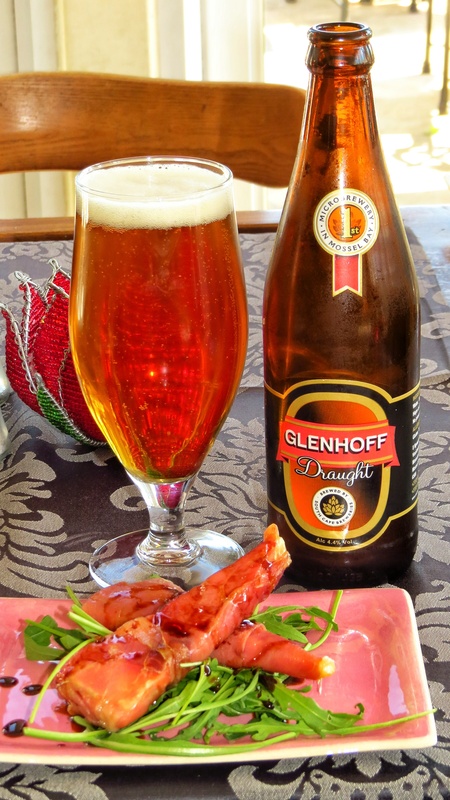 So off to the Gannet restaurant in Mosselbay I go, to enjoy a luncheon with a Glenhoff beer. After inundating the Glenhoff crew with questions of taste and comparisons, I decided to take what they said about Glenhoff lager and pair it with a lovely rich and flavourful dish. I ordered a brie cheese wrapped in parmaham and served on a bed of Rocket. Lots of flavour and lots of strong taste.